This trail has been formulated for the grass-roots weekend angler. As such we are encouraging the participation of anglers who want once again to fish a tournament to learn and have a good time. Entry fees (and payouts) are relatively low and the tournament officials will work with the participants (whenever possible) so that all can have a good time. This trail has no interest in competing with others, only in helping to grow the sport and increasing participation for those who are currently left out. Unfortunately it is required to have some rules with which all must comply to insure fairness and safety. For situations not covered in the rules listed below, TBF National rules will apply. REFUNDS: People who chose to withdraw from a tournament on or prior to the Tuesday immediately before the tournament, will be automatically reimbursed their entry fees. People who choose to withdraw from a tournament after the Tuesday before the tournament will be reimbursed only after approval of the Board of Directors at the next regularly scheduled T.B.F, monthly meeting (contestant must petition for the reimbursement at this meeting). Any monies which are not reimbursed will be utilized (at the Board of Directors approval) for the tournament trail, and or trophies. TOURNAMENT PAIRINGS: For all tournaments (trail events) there will be a random pairing of the contestants by the tournament committee. Clubs who wish to fish as a club event may pair within the club, if 50% or more of the club is fishing. Contestants will only be allowed to fish together two (2) times during a tournament year. In each event the tournament committee will designate two or three boats as “open boats”. These two boats will be left open (no non-boater) in case of emergency so that no non-boater is left on the shore. These boats will be picked at random and not more than one time during the tournament year. BOAT EQUIPMENT: All boats must be in full compliance with state laws and Coast Guard regulations. All boats must have working kill switches (which must be worn at all times when the internal combustion motor is running). All boats must have a working mechanically aerated live well capable of holding and sustaining two limits of fish (Bass). Boats must be large enough to be safe and comfortable for two anglers and their equipment (as determined by the Tournament Director and committee). All boats must be equipped with a seat for the non-boater partner. SAFETY AND SPORTSMANSHIP: Life jackets shall be worn by both competitors at all times when the internal combustion motor is running. The “kill switch” shall be affixed to the driver at all times when the internal combustion motor is running. All competitors shall comply with state laws (speeding etc.) at all times. When boating and fishing near other boats and people, maximum courtesy should be extended to all. Anglers in the same boat shall not fish or handle the boat in a method which will put the other angler at a disadvantage. Use of alcohol or illegal drugs during tournament competition hours, will result in immediate disqualification. Drunkenness and unsportsmanlike conduct at any tournament will be cause for disqualification and may result in disqualification from future tournaments (As determined by Tournament director, tournament committee and Board of Directors). PERMITTED FISHING LOCATIONS: Fishing is allowed anywhere on the tournament lake (where legal), except within 50 feet of another competitor who’s trolling motor is up and who is anchored in position. Anglers who feel that another boat is encroaching on the 50 foot rule must warn the offending anglers at that time. Anglers who allow one other person (within the tournament) to fish within the 50 foot zone are then obligated to allow any other boat or angler the same courtesy. No angler or boat may stop others from passing on otherwise navigable waters. Anglers may not leave the boat for the purpose of catching a fish, or fishing an area which is otherwise inaccessible by boat. Leaving the boat for dire circumstances (as determined by the Tournament Director and committee) is acceptable, but whenever possible the anglers should remain within sight of each other. All tournament boats must remain on the tournament water throughout the tournament day and all contestants must depart from and return to the check in point by boat (no trailering from other launch sites). BOAT IDENTIFICATION AND CHECKPOINTS: Prior to the start of each tournament, there will be a check in for the contestants. At this point contestants will learn who their partners are (if they don’t already know) and one contestant from each boat will draw a boat number (blind draw). These boat numbers are to remain with the boat throughout the day. All boats shall be in the water 30 minutes prior to the start of the tournament. Any boater who chooses to block the line and not launch their boat promptly will be sent to the back of the line - if the boater fails to comply he (she) will be disqualified and the entry fee will not be reimbursed. Boats will line up on the water and leave the launch site in numerical order. The first two boats and the last boat to leave will be Tournament Committee boats (the first two will be required to return to the ramp 15 minutes early to start the weigh in procedures). At the end of the day all boats must check in with the tournament committee, (regardless of whether they caught any fish) and return their boat number (more than anything else this a safety issue to make sure that no boats are left on the water, so full compliance is required). In the event that a boat has to leave the water prior to the end of the tournament day, contestants are required to notify another tournament angler or tournament official of their intent and return the boat number. It is the responsibility of the non-boating partner to remain with and help the boater at the end of the day until the boat is safely on the trailer and tied down (this does not apply if the boater chooses to launch at a different site and drive the boat to the tournament launch.) Failure of the non-boater to comply with this rule may result in disqualification from the current and future tournaments!! SCORING AND PENALTIES: Tournament standings and final winners shall be determined by the weight of each anglers catch. Only Smallmouth and Largemouth Bass in compliance with state size limits may be weighed in. Any angler may request a “courtesy measure” to check a fishes compliance with size regulations and there will be no penalty (other than the loss of the questionable fish if it is short), however if an angler tries to weigh in a short fish the total catch will be disqualified. There will be a five fish limit for each angler (unless otherwise stated by the Tournament Director and committee prior to the start of the tournament). In the event that an angler has more than the prescribed limit in possession at any time, the Tournament Director and committee shall cull down to the prescribed limit starting with the largest fish and working down to the smallest fish. Any fish which appears to have been mangled, crushed or otherwise altered to give the appearance of being longer than 12 inches will be credited only at the discretion of the tournament committee. Any fish presented for weigh in which is dead or cannot be completely revived with a reasonable effort shall receive a 4 ounce deduction as a “dead fish” penalty. All fish weighed in by any angler must be caught during the specified tournament hours on the specified tournament waters by the specified angler - any deviation from the above shall result in immediate disqualification and removal from the organization. Any angler who returns to the weigh in site late shall receive a penalty of 1 pound for each minute that they are late. Anglers who are fifteen or more minutes late will have their total catch disqualified. Anglers weighing fish must return to the weigh-in site together. They may transfer their fish to another boat, provided the catches are clearly marked and both anglers accompany their catches in the other boat. Only live fish can be weighed in to qualify for the lunker award. In the event of a tie between two or more contestants, the winner will be determined by: 1. Total number of fish. 2. Big fish. 3. Coin flip. Any checks written to members as payouts for tournaments awards must be cashed within 60 days. Checks which are not cashed within that time will be null and void. TOURNAMENT TRAIL POINTS: Tournament trail points shall be awarded in the following manner: For each tournament the first place contestant (determined by total weight of fish caught) shall receive 300 points, second place shall receive 298 points and 3rd thru last place shall decline in 2 point increments with people who catch no fish receiving 50 points less than the last person who caught fish. There will be separate standings for the two divisions. At the end of the year the overall standings (for each division) will be determined by total points accumulated throughout the year. There will be a drop tournament this year so that the top 4 finishes of the 5 tournaments will be counted for total year end points. BOAT OPERATION AND EXPENSES: Each partner in the boat is entitled to 4 hours control of the boat. There should be a discussion and understanding prior to the start of the tournament. If a contestant does not choose to run the trolling motor, he (she) is still entitled to fish his (her) waters and to do so from the front of the boat. DURING ANY CONTESTANTS TIME, THEY WILL HAVE FULL CONTROL OF WHERE THE BOAT GOES AND HOW THEY FISH THE AREA!!! Failure to comply will result in immediate disqualification! Non-boaters are responsible to pay the boater to help offset some of the expenses of running the boat as follows: Boats under 100 horsepower -$20.00. Boats over 100 horsepower -$25.00. Failure to do so will eliminate the non-boater from fishing future tournaments until the situation is rectified. PROTESTS: All protests must be filed (in writing) with the Tournament Director prior to the closing of the scales. When a protest is filed the Tournament Director will choose a minimum of three (3) uninvolved people (without ties to any of the parties concerned). These people will then listen to all sides of the story and make a determination as to the outcome. Each year a number of anglers will be selected from the TBF tournament trail to be anglers in that years‘ National Semi Finals. Members who wish to advance to the National Semi Finals from the trail will do so in the following manner. A. Members who wish to advance to the N.S.F. must fish the trail as competitors in the A or B division. B. Members who wish to advance from the trail must pay an added fee of $75.00 prior to fishing their first qualifying tournament of the season. One in five of the competitors who choose to fish in this manner to advance to the National Semi Finals. (1 thru 5 fishing will receive 1 spot, 6 thru 10 will receive 2 spots, Etc. ), with a maximum of 6 members who can qualify thru the trail events. Positions at the National Semi Finals will be determined by the Board of Directors each year after we know how many participants are involved. Members who qualify for the N.S.F. through this trail event, and who choose not to try to increase their standing at the N.S.F. (as described in the next paragraph) must pay the difference in the cost of participating in this event and participating in the Two Day Qualifier prior to the Two Day Qualifier. Members who choose to fish this division will have their weights put in descending order, and the heaviest creel will be given 300 points. The next creel will get 298, and continue down to the last creel brought to the scales in 2 point increments. If you fish and do not weigh in a keeper you will receive 50 points less than the last person who caught fish. The total points to determine the qualifiers will be based on the top 4 finishes of the 5 qualifying tournaments. At the end of the tournament season the top 20% of those who fished to qualify for the N.S.F. If any of the members who fished and qualified for the N.S.F. wish to better their position at the N.S.F., they can fish the Two Day Qualifier (pay the entry fee) and qualify in a higher position. In the event an angler that qualified for the N.S.F. through the trail chooses to fish the Two Day and improves his position at the N.S.F., he vacates his position from the trail. The vacated position from the trail will then be filled by the next eligible participant from the trail standings. At the conclusion of the Two Day, the National Semi Final angler roster will be considered final. 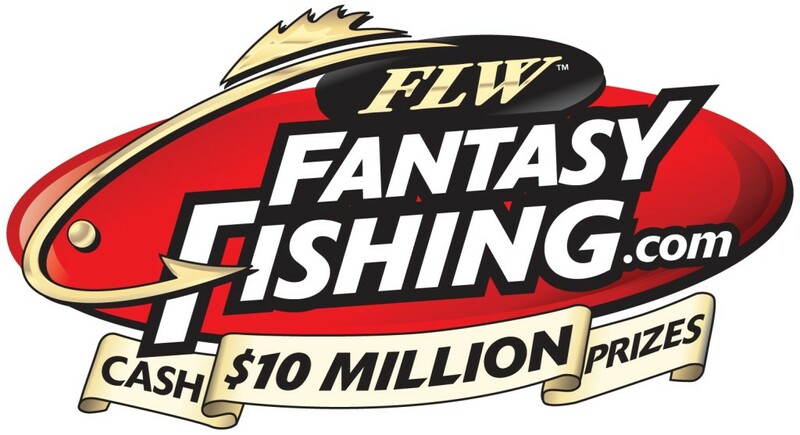 Any drop-offs that occur after the conclusion of the Two Day, will be filled by the next eligible angler from the Two Day standings. In the year following participating in the Divisional Tournament the members fishing the National Semi Finals who were qualified for that tournament at the end of the Two Day Qualifier the year before will be required to fish “A” division when fishing the TBF trail tournaments.